It just couldn't be easier! 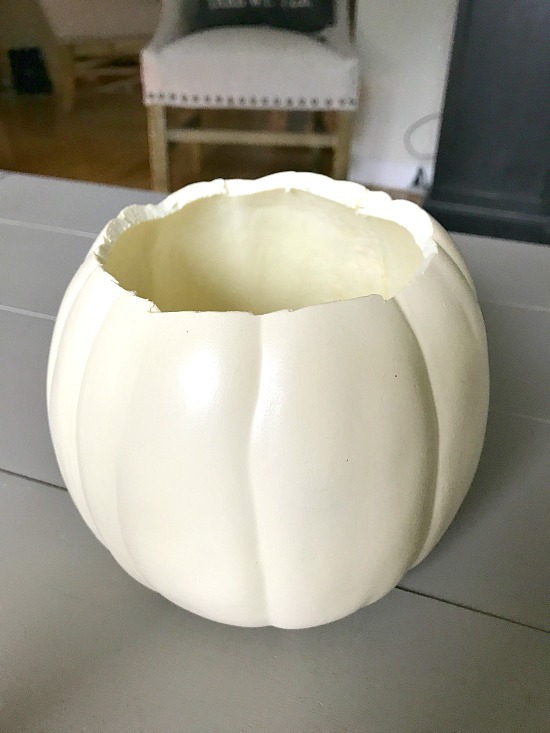 I grabbed a couple small white faux pumpkins from Michaels recently. 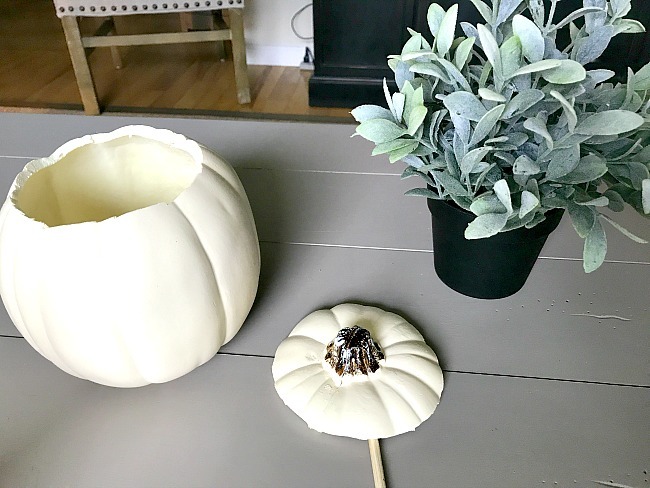 These pumpkins are can be carved into a jack-o-lantern or as in this project, just cut the top off with a serrated knife. You're already almost finished with this easy project. 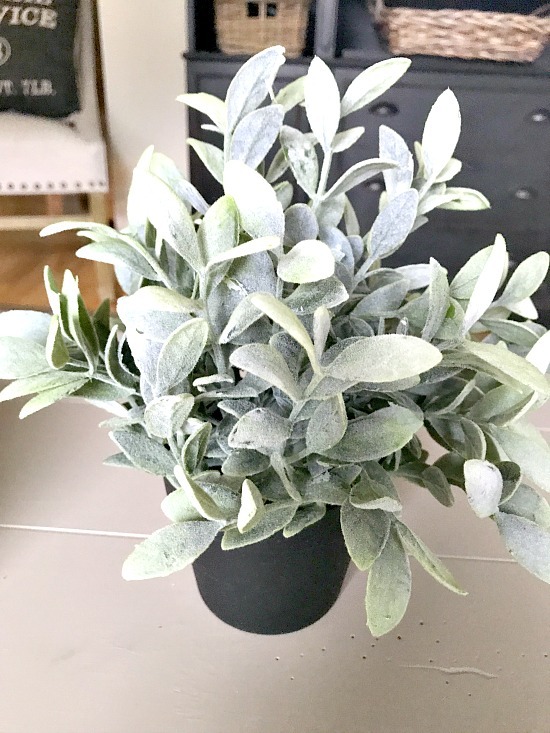 Next up... one faux plant from IKEA. Or... add a bouquet of flowers. 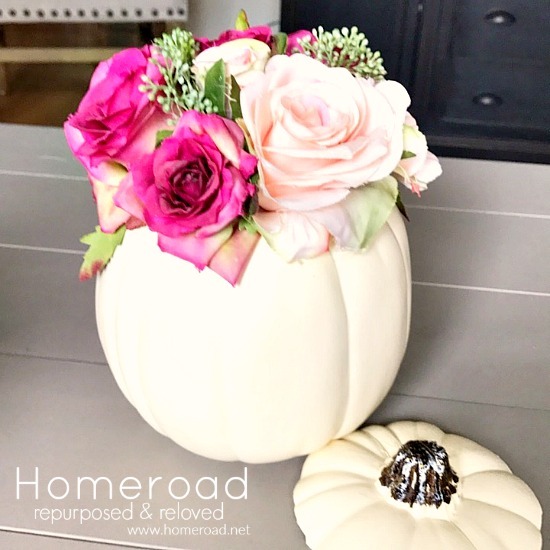 You can drop a glass inside filled with water and add fresh flowers. 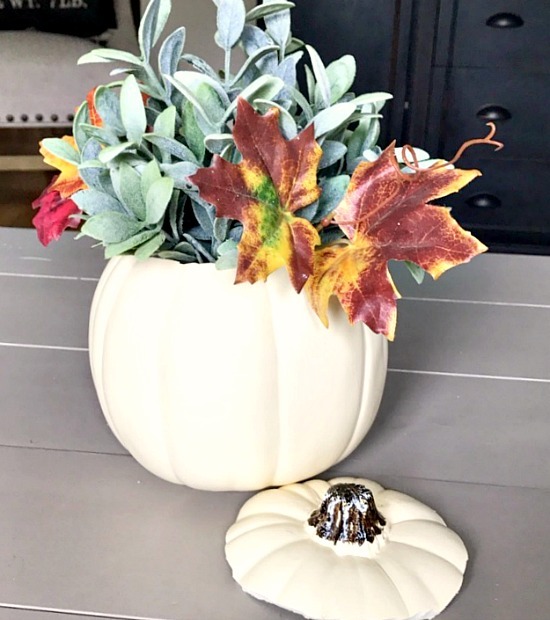 Add a few fall leaves and you've got a simple, easy centerpiece for the table in minutes. 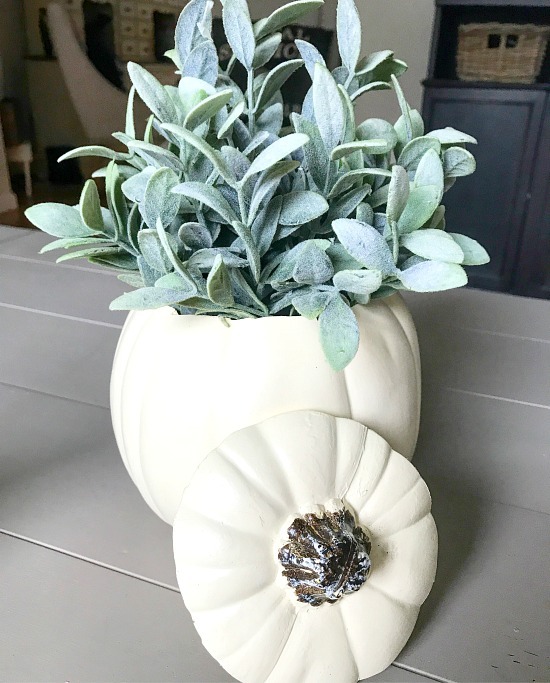 And here I thought the flowers WERE real lol I've gotten their orange pumpkins but never the white ones, love this.